54 Year-old ex-submariner Barry has been in receipt of health-related benefits since a life changing motorcycle accident. In 1982 Barry broke his back and lost his (dominant) right arm. He was medically discharged from the Royal Navy in 1983. Following the accident Barry rarely left the house and became very withdrawn. Prosthetics at the time were cumbersome so Barry does not use one. He relied on his wife and later his children to help him with daily tasks. He was not considering work and was very far removed from the labour market. In 2014 Barry and his wife separated and for the first time Barry had to cope alone. He was worried about debt and rent arrears as well as how having empty bedrooms would affect him. He was referred to Cornwall Council’s Crisis & Care Team for support and also spoke to the Housing Benefit Section. Barry did not engage with Jobcentre services unless it was in relation to his benefits and did not communicate much during mandatory appointments. In January 2015 the ESA Team referred Barry to an ESA course run by ex-armed forces personnel Craig and Chris(Rebuild Southwest). This 2-week course offers ESA claimants the chance to test their physical limitations and build confidence and self-esteem whilst assisting in a project to benefit the community. Barry was mandated to attend the induction session where it was up to Craig and Chris to engage his interest. 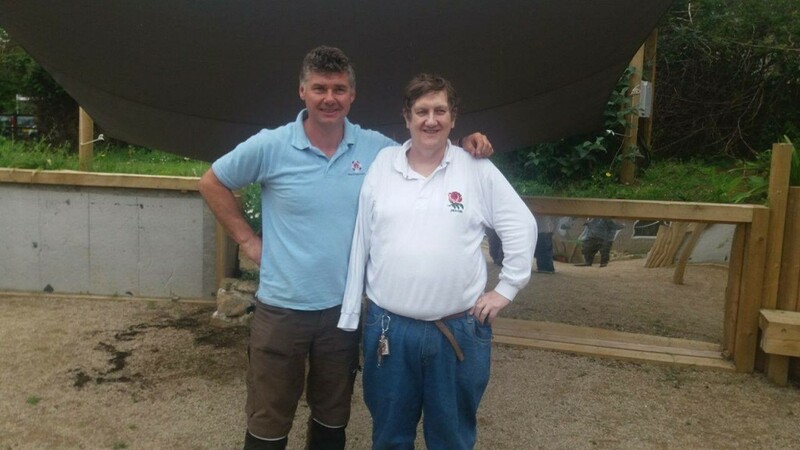 The course was run at the John Daniels Centre, a day centre for adults with learning disabilities, and the participants renovated a training kitchen and undertook general maintenance tasks. Barry impressed everyone with his determination and effort. He surprised himself with how much he enjoyed it and how much he got out of having something to get up for in the mornings. He participated fully in both the practical tasks of sanding, painting and demolishing cabinets and the team-building and confidence related tasks. He is a prime example of what people can achieve if they take the opportunities offered to them. Barry is eating well, has had his hair cut and is looking healthier. He has proven himself to be a valuable team member on every course he has undertaken and would be an asset to any employer. Craig (Rebuild Southwest) referred Barry to SSAFA for support and he has just been awarded a grant from the Royal Navy Benevolent Fund to clear his debts. This has removed a great deal of stress from Barry and he can start afresh.